The issue of poverty in schools is something that educators should be taking into account when they walk into their classrooms. Every child is a world unto him or herself, and the financial reality that each kid is experiencing at home can have a major impact on how they learn in school. Students who live in poverty have less access to the resources which lead to academic success. This includes the obvious things such as computers and consistent internet connections, but the reality is that lacking basic necessities, such as food can, also have an adverse affect on learning. In order to successfully educate students with poverty in mind, teachers need to address the special concerns and circumstances that poor students come from and adapt the learning environment accordingly. How does poverty affect learning in school? Perhaps the better question is, how doesn’t poverty affect learning in school? Poverty has a pervasive impact on the lives of those who unfortunately live with it, and students in school are no exception. When a student does not feel safe and secure at home because finances are tenuous, they may come to school feeling stressed and unsure. A hungry student cannot be expected to maintain the same level of focus and energy throughout the day as one who is well-fed. Moreover, students who come from homes that are struggling financially are less likely to have parents who are available to help them outside of school. That means they will have less support and encouragement to work on assignments and complete homework. How can we close the achievement gap for poor students? It is no secret that socioeconomic status plays a major role in educational opportunity as well as educational success. Even if two students attend the exact same school, a student from a more affluent home has a better chance of succeeding in school. So how can we level the playing field? For starters, educators need to make sure that assignments and general expectations do not pu poor students at a greater disadvantage. For example, it is totally natural for a 21st century teacher to assign homework which requires internet research, electronic submission or even watching a video online. This is a problem for poor students who might not have full-time access to computers at home, and may not even have an internet connection. Educators need to know their students, and be aware of anyone who does not have the resources to complete assignments which require a computer. They need to think of ways to allow poor students to do the assignments before they are even given to the class, so at least they will have an equal chance of completing what is required. What can teachers do to help poor students overcome the educational drawbacks of being poor? The good news is that the potential impact that schools can have on poor students is actually much greater than the general impact that schools can make. In other words, education actually matters more for lower-income students. That being the case, educators should definitely do everything they can to make the greatest impact possible. Even when all other factors in a poor student’s life stay the same, an excellent education has the potential to close the achievement gap. What are some practical suggestions for how teachers can help poor students? First of all, students who come to school hungry, and remain underfed throughout the long school day, will certainly not be putting forth their best work. If possible, teachers should keep some healthy snacks around, just in case there are children who didn’t bring enough food for lunch, or didn’t have a chance to eat breakfast. Additionally, parent involvement is very important. 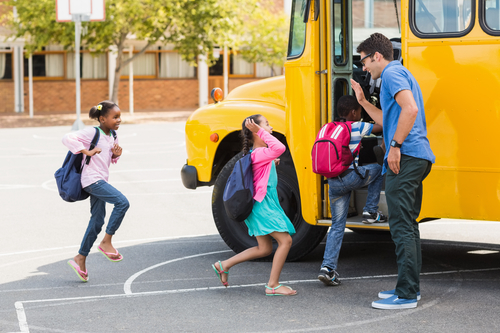 Some poor working class parents will not be able to take off time to come into school for meetings, and they may not even have the money to pay for an extra bus trip to the school. Keeping this in mind, educators should try to accommodate all parents as much as possible so they can be involved in the education of their children, giving the children a greater chance of success. Keeping school relevant by engaging students with poverty in mind is extremely important. It can be all too tempting for students to drop out and start working if they don’t feel successful and productive in school. Students who live in poverty are just as important as those from more economically-stable homes, only education has a much greater potential to help them rise above their circumstances and maximize their potential in life.